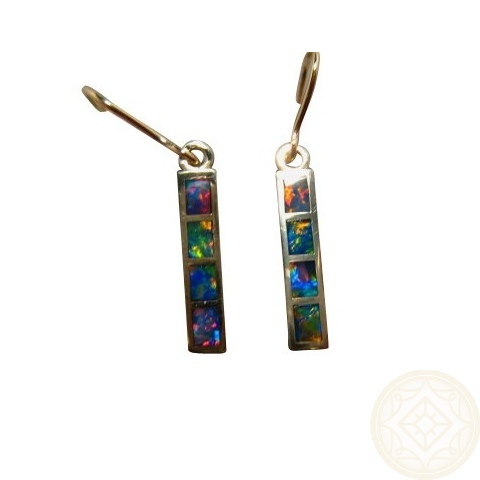 Very Bright and Colorful Opal Dangling Earrings in 14k Yellow Gold. 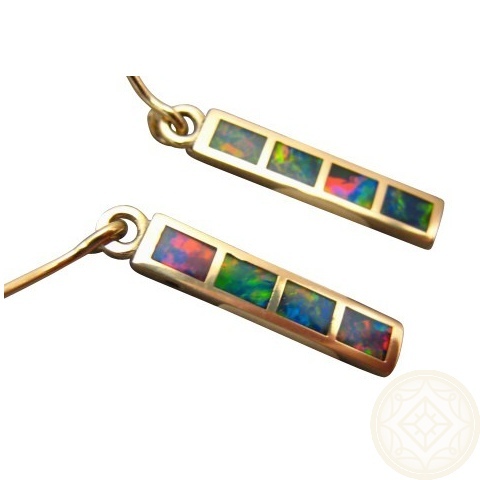 Inlay Opal Earrings in 14k Yellow Gold. 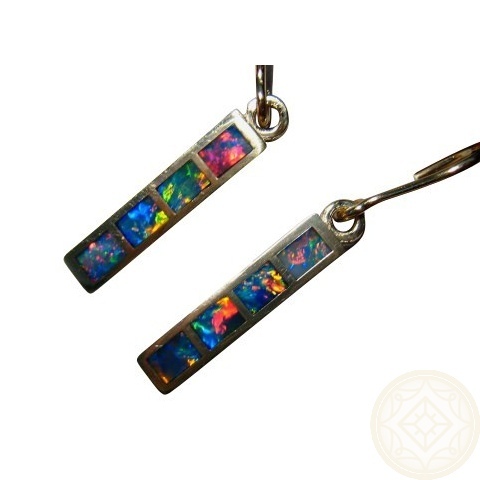 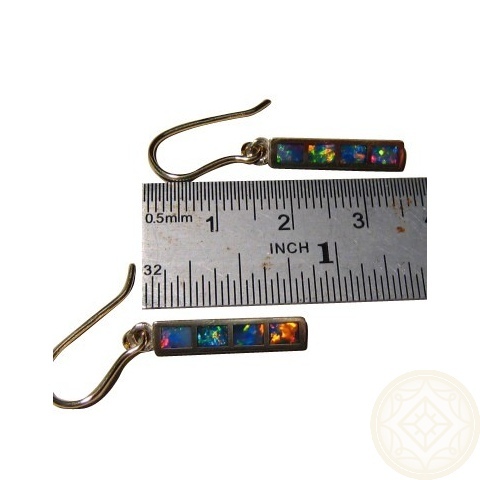 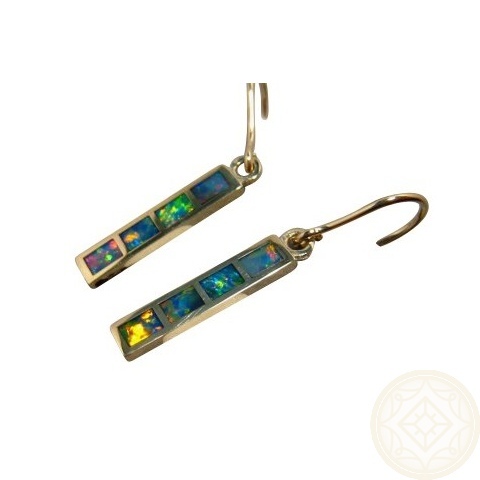 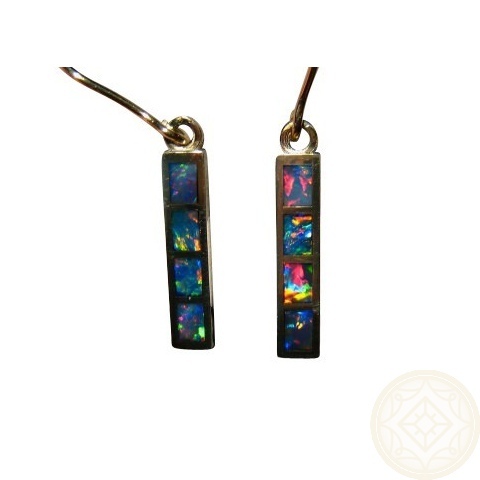 Rectangle Dangling Earrings Inlaid in Eight sections with Lightning Ridge Black Crystal Opals. 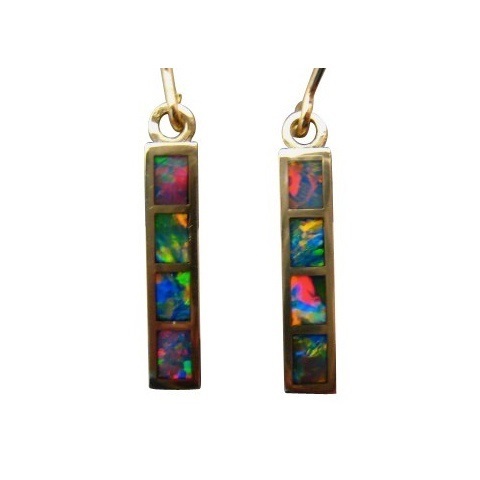 Lightening-fast shipping and delivery and absolutely gorgeous opal earrings.